If you come to our city and want to go out at night in Barcelona, ​​Razzmatazz is one of the discos you probably want to know. The Razzmatazz is one of the most famous nightclubs in the city. It was founded in 2000. It has five rooms where different types of music are scheduled, although the styles are more present are the indie pop, alternative rock and electronic music. 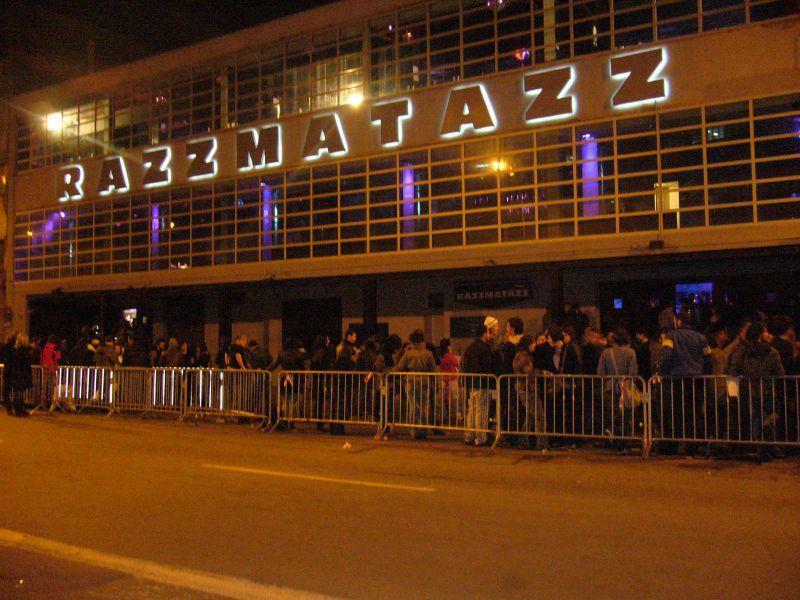 Besides functioning as a nightclub, Razzmatazz is a well known concert hall. Between one thing and another, it is a popular hangout. The ticket for Razzmatazz (12 euros until 2.30 PM, from 15 € to 2.30 AM) includes a drink and access to the 5 meeting that the club has: Razzmatazz club (indie-rock, alternative rock), The Loft (techno, electro), Lo.li.ta (electronic: minimal, clash …), Pop Bar (electropop, indiepop), Rex Room (electro, indie electro). Razzmatazz Club is the main room. The main room DJ currently Dj Amable, accompanied by other DJs such as Gato or Maadraassoo. A reference in the European independent scene and an institution for hundreds of clubbers in Spain. In our opinion, the subway is the best option to reach the Razzmatazz nightclub, but even better if you have and you can get accommodation near Razzmatazz and you can arrive (and return…) walking.